As a child, I was always inspired by the story of Hajar (may Allah be pleased with her) even though at the time I did not know exactly who she was. I do remember I was told about her and her infant son Prophet Ismael (alayhis salaam), how they were left in a desert with no food or water. Hajar (may Allah be pleased with her) was not a prophet, a saint or even a scholar. 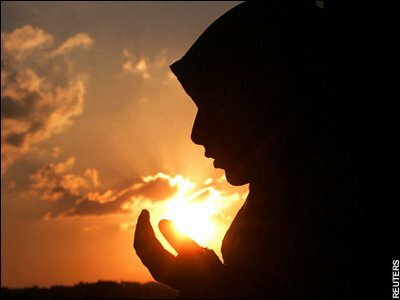 So, what made her faith so deep in Allah (subhaana wa ta'ala)? How she was honored by Allah (subhaana wa ta'ala)? Were it not for the deep faith and trust in Allah (subhaana wa ta'ala) that filled Hajar’s heart, she would not have been able to cope with such a difficult situation; she would have collapsed straight away, and would not have become the woman whose name is forever remembered night and day by those who perform Hajj and `umrah at the house of Allah (subhaana wa ta'ala), every time they drink the pure water of Zamzam, and run between the mounts of Safa’ and Marwah, as Hajar did on that most trying day. This was her gift from Allah (subhaana wa ta'ala). She was truly a strong Muslim woman with such a strong character. She is an Inspiration for all women.. also to men.. He who created us have better options for us than what we opt for..
SUBHAN ALLAH :') MAY ALLAH SWT BLESS US ALL WITH THE SAME LEVEL OF TAQWA N TAWAKKUL AS OF HAZRAT HAJAR (PBUH) A WOMAN WITH DIAMOND SOLID FAITH N COMPASSION AMEEN YA RABBILALAMEEN!! !